Book a skilled gardener in Augusta. Backed by a total satisfaction guarantee and amazing customer support. 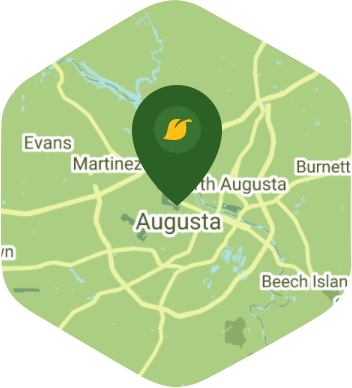 When you say Augusta, GA, the first thing that pops up into most people's minds is the Masters Golf Tournament. And while this city does have the Augusta National Golf Course, you know that there is a whole lot more to this city than just a professional golf course. There's also parks, museums, and even the childhood home of President Woodrow Wilson just to name a few. You'd rather be spending your weekends in one of these locations or just relax at home instead of tending to your garden working up a sweat. Who says you need to suffer during the weekends? You should be relaxing and we at Lawn Love understand this. So let us handle your gardening work for you because our gardener service is top notch. Whatever kind of work you need done on your garden, whether it's a simple clean up or heavy duty weeding, you can count on our independent lawn pros to get the job done. Our prices are affordable and we have some of the best customer service reps in the industry, so you should have no problem dealing with us as you schedule your gardener service. Give us a call now at 706-250-4429 or ask for a two minute quote to find out more. Great job again! I asked if he would cut it a little lower to get the dead grass out and he did it without a problem. I really loved the work he did! Such an excellent work! Looking forward to see my green grass growing back now! Went the extra mile taking care of my yard! The yard looks great front and back. He's very professional at what he does. Keep up the good work. Thanks for threat work. I really appreciate your attention to detail! He always does a fantastic job!! The yard looks great. Thank you! Mr. Hightower, thank you sir for really making me feel like you wanted my business. YOU personally made sure I was satisfied with my yard when I expressed exactly what it was I wanted to be done! I can't thank you enough! He did very well. Even when it started raining he did not quit! Very impressed. Shelton was efficient and follow-up with me to give me feedback about the condition of my lawn. I appreciate Shelton being punctual and very professional. I’m not sure that fertilizer was applied, it appears that it was not. Tommy was exceptional and I would like to request for him to be my regular pro for all future services. Thank you. Rated 4.81 / 5 stars in 154 Augusta customer reviews. There won't be any rain in Augusta today, which means you'll probably have to water your lawn. Dusk and dawn are the best times to water your lawn (the sun will rise at 6:55 AM and set at 8:00 PM today in Augusta). Here are some average lawn care prices for homes in Augusta. Average lawn size 7,762 sq. ft.